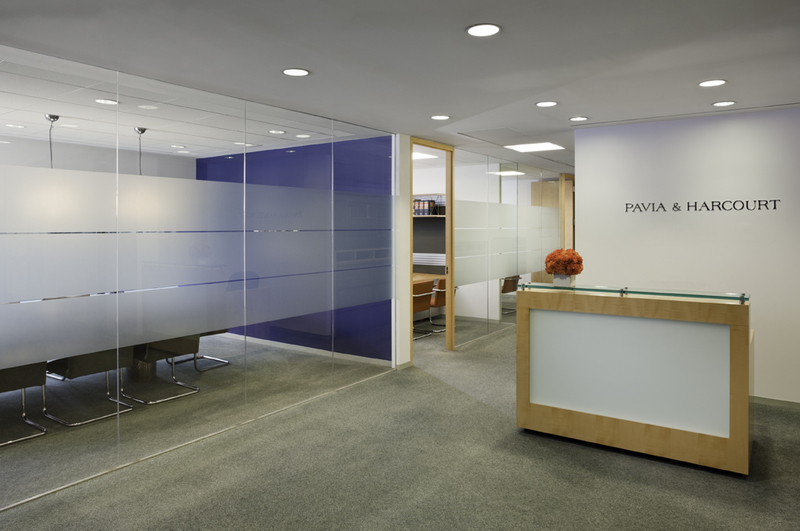 The latest in our 15 Projects|15 Years series focuses on our work with corporate office spaces. Corporate office design is focused on efficiency driven by the structural costs of real estate, and the need to improve agency. 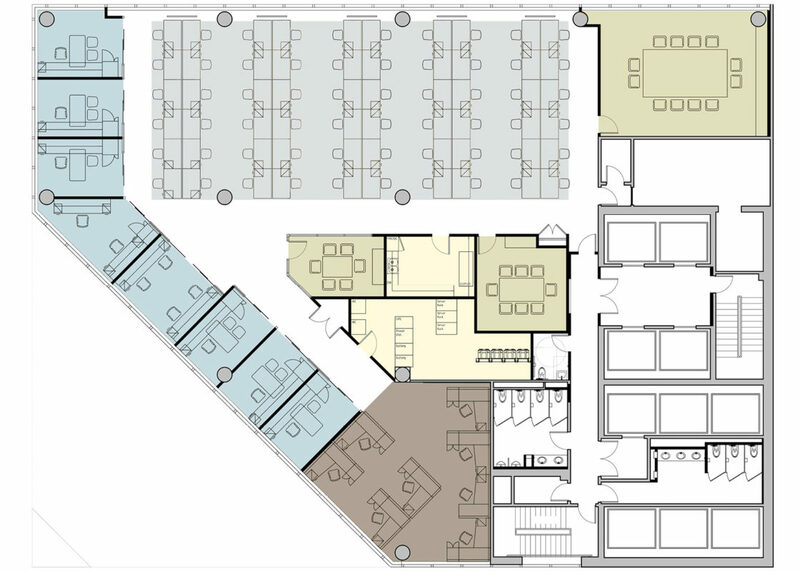 However, influences of hierarchy, status, and office structure have ceded some ground to the needs for collaboration, social spaces as incubators and stimulants for the works process and agility in spatial arrangement as missions, markets, and generational work styles evolve and change. 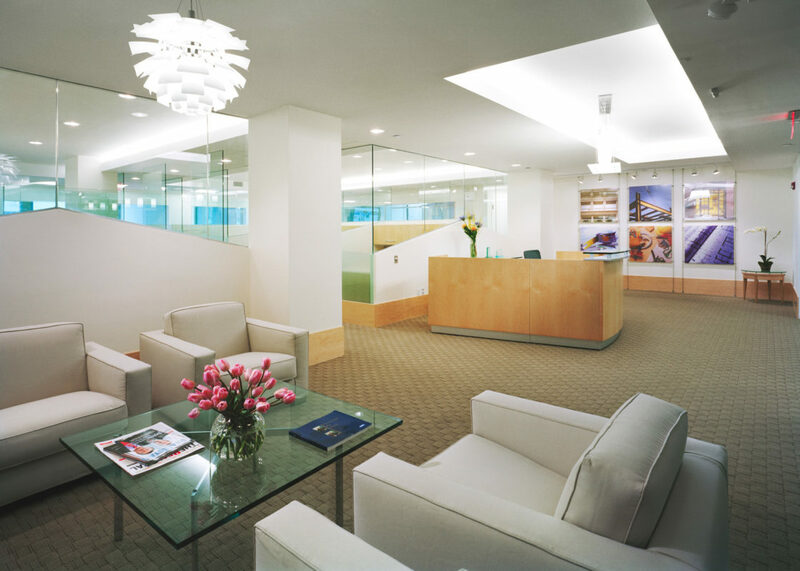 Fradkin & McAlpin Architects designs in corporate facilities for financial management companies, law firms, and creative enterprises has has been in the forefront of these shifting dynamics in the past 15 years. 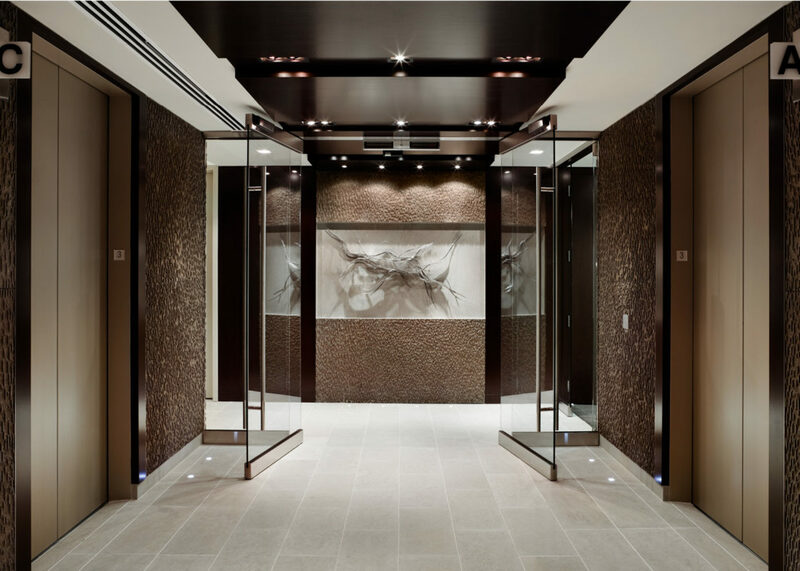 The following projects showcase our work for the corporate world and our firm's ability to evolve design and delivery as corporate cultures have shifted. This wealth management concern has turned to Fradkin & McAlpin for a variety of assignments over the last 5 years, all in mid-town plaza district locations: Initially doubling, and then tripling the size of their trading desk; a new reception area for investment banking; densifying back office operations; evaluating potential relocation sites, and most recently, relocating all five of their departments to a single building in 4 floors. In each project, up-to-the-minute technological infrastructure, whether it be AV, security, or electrical & cooling support were all considered and incorporated. For its Manhattan venture, Coldwell Banker Commercial Properties needed a smart, contemporary space to lure a savvy staff to its mid-town start-up office. Fradkin & McAlpin’s design brought a fresh, bright style to the new venture. 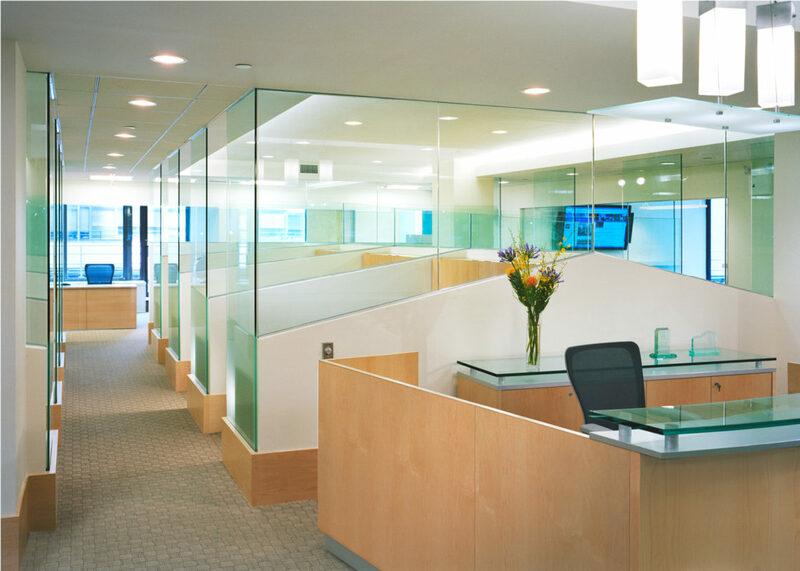 Glass partitions provide both the acoustic separation that brokers need and the sense of community that fosters collaboration. 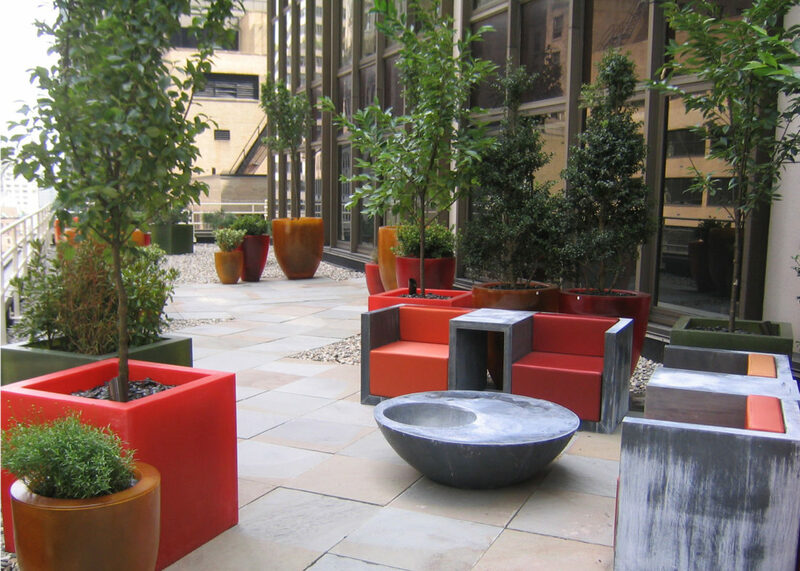 The lush terrace provides an A+ venue for networking events, which attract clients and keep office energy high. 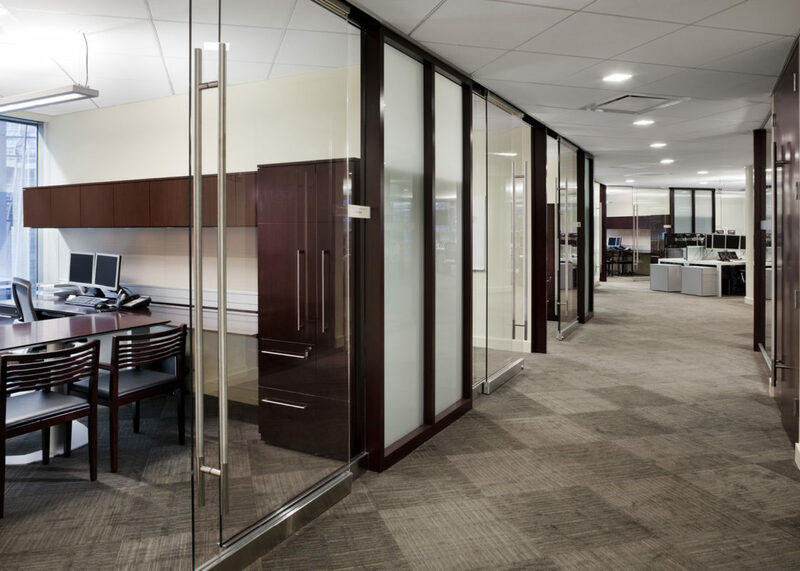 This distinguished New York City firm asked Fradkin & McAlpin to create an elegant, cost-effective office suite in the former IBM Building, repurposing quarters previously occupied by only part of a much larger legal concern. 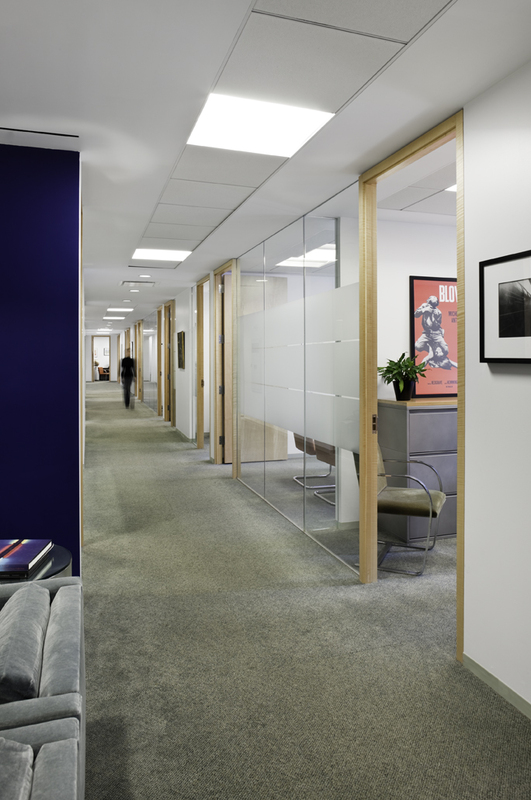 The simple, efficient renovations made a whole office out of the space available. We increased the number of private offices by 11 and added reception area, pantry, conference room, and administrative space, as well as a state-of-the-art IT center.